How Much Money Is Needed To Invest In Rental Property? Should A Real Estate Investor Get An Agent’s License? Will New Condo Relaunches Trigger The Great Property Sale We Have All Been Waiting For? An associate broker is a real estate classification used to describe someone who has a property broker’s license, but still works in a capacity of a salesperson under another broker. This classification is only used in some states for legal reasons. Legally speaking, a person who has legitimately obtained a real estate broker license is capable of running his or her own real estate operations. So to avoid misrepresentation or misunderstandings, the term is used. In some states, this refers to a licensed broker who has his license held by another broker. Associate brokers are sometimes called broker-salespersons, affiliate brokers, or even broker-associate. While the lead broker who manages the licensed broker can sometimes be referred to as the managing broker or qualifying broker. Propertylogy is made up of contributions from property players from professionals to the individual buyer. We welcome all submissions and reserve the right to publish or not publish them. 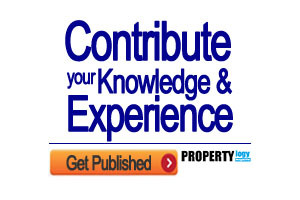 Propertylogy 2012-2019 | Terms | Privacy | Disclaimer | This site is not related to any property agencies, developers, or banks whatsoever. Propertylogy is a participant in the Amazon Services LLC Associates Program, an affiliate advertising program designed to provide a means for sites to earn advertising fees by advertising and linking to Amazon.com, Amazon.co.uk, Amazon.ca, Amazon.de.